New formed club FK Viktorija from Prilep will beggin it's history straight from the 3rd League South in the new season 2010/11, resembling to the club Pobeda that has an 8-years ban by FIFA. The city of Prilep got another club. 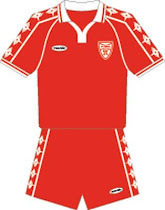 FK Viktorija was founded after the two times champion Pobeda was banned by FIFA. 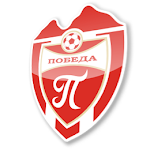 The new club resembles very much on the old Pobeda who was formed back in 1941. The name Viktorija is a Macedonian transcription of the Latin word "Victoria" which means "Victory", same as the Macedonian word "Pobeda" which means "Victory" as well. The Court of Arbitration for Sport has upheld an eight-year Europe-wide ban imposed by Uefa on Macedonian club FC Pobeda for match-fixing. Uefa's life ban on club president Aleksandar Zabrcanec also stands. However the life ban imposed on the player involved, Nikolce Zdraveski, has been overturned on appeal. The investigation centred on a Champions League qualifying tie between Pobeda and Armenian side Pyunik over two legs in July 2004. Charges were brought against Pobeda due to reports of irregular betting patterns and statements from a number of witnesses taken. CAS ruled that "the evidence brought by Uefa was sufficient to establish that the matches between Pobeda and Pyunik were fixed." After exploring betting irregularities, Uefa's disciplinary panel ruled in 2009 that the two men had fixed the outcome of the qualifying match in which Pobeda conceded three goals in the first half during the home leg. Pobeda drew the second leg 1-1 in Armenia, losing 4-2 on aggregate.